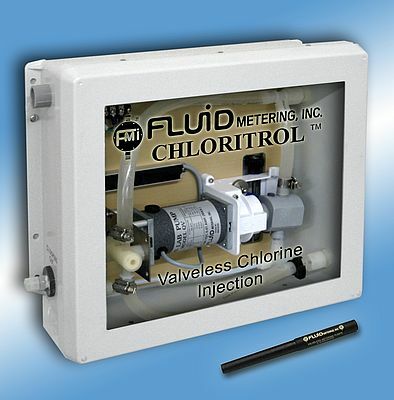 Fluid Metering introduced their Chloritrol valveless metering system for accurate, maintenance-free injection of Sodium & Calcium Hypochlorite for purification of municipal drinking water. Accurately metering liquid sodium hypochlorite presents a unique challenge because of the fluid’s tendency to out-gas. The Chloritrol System is a unique valveless duplex pump design. The first pump head is high pressure and injects the sodium hypochlorite directly into the water main. The second pump head functions to remove out-gas bubbles from the inlet side of the high-pressure pump head. 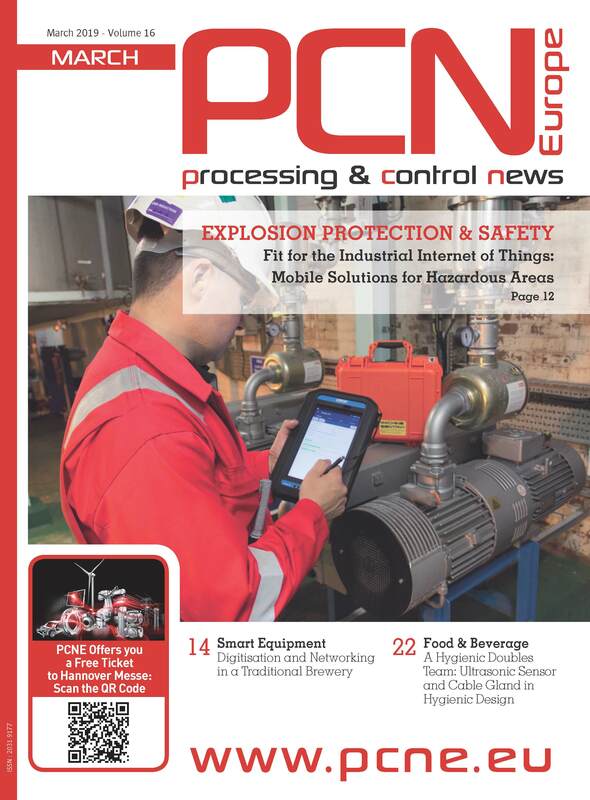 The system has been field tested in very demanding applications, and demonstrated that it exceeds performance expectations. It is also noted that the size of the system, as well as energy consumption, is a fraction of that of conventional injection pumps.